4 Star BAP Tilapia – The Fishin' Co. The Fishin’ Company made headlines in early 2016 for being the first company to sell 4 Star BAP-certified Tilapia in the US. This milestone marks years of work to develop sustainable and responsible practices at processing plants, farms, hatcheries and feed mills in Asia. 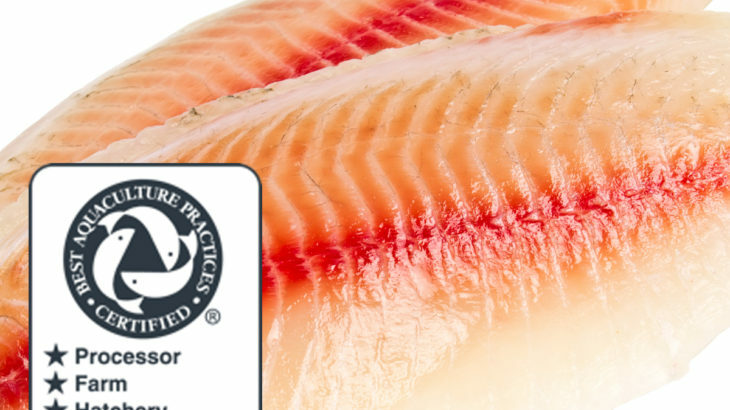 4 Star BAP-certified seafood products represent the gold standard for food safety, environmental responsibility, and social welfare in aquaculture. This announcement by The Fishin’ Company comes on the heels of a Memorandum of Understanding with the Global Aquaculture Alliance. The MoU utilizes the iBAP program to train and advance multiple facilities at one time. It will allow for a greater number of facilities to achieve certification and significantly increase the volume of certified product available for markets.